A pair of surveys released in March by the National Institute for Retirement Security shows that the country is facing a retirement crisis. A pair of surveys released in March by the National Institute for Retirement Security show that the country is facing a retirement crisis. NIRS calculated that the retirement savings deficit is $6.8 trillion. Furthermore, NIRS found the typical American household was further behind in 2013 than in 2010 and 2007. The “Retirement Security 2015: Roadmap for Policy Makers” study surveyed 801 Americans 25 or older by telephone about their feelings on retirement security and what policymakers can do better. 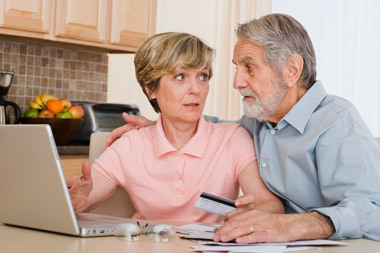 The second report, “The Continuing Retirement Savings Crisis,” is based on an analysis of the 2013 Survey of Consumer Finances (SCF) from the U.S. Federal Reserve, which surveyed 6,026 families. The public sentiment survey found 86% of Americans agree there is a retirement crisis, and 57% strongly agree. That’s in spite of a drop in concern over respondents’ personal retirement situation. Less than three-quarters of respondents said they felt “highly anxious” about their retirement outlook, down from 85% in 2013. Still, more than half say they’ll keep working after retirement, and 42% are worried they’ll have to sell their house to be financially secure. NIRS pointed to data from the Boston College Center for Retirement Research that found as of 2013, more than half of U.S. households don’t have enough to maintain their standard of living in retirement even if they work past age 65. Millennials and, interestingly, those who make more than $75,000 a year were most likely to feel the country is facing a retirement crisis (92%). The report found households that have a retirement account have almost two and a half times the income of households that don’t have an account. Although public sector workers were more likely to have reliable income for retirement, they were just as concerned as private workers about their retirement prospects. Furthermore, pensions were popular among all respondents. Eighty-two percent said they provide steady income that won’t run out and 85% said all Americans should have access to one. The SCF analysis found that in 2013, less than 55% of private-sector workers had access to a retirement plan through their employer, leaving over 43 million people between the ages of 25 and 64 without a workplace plan. The survey found a lot of support for state efforts to establish retirement plans for workers who didn’t have access to one. Over 70% said it was a good idea and three-quarters said they would consider participating in a state pension. Respondents were more supportive of Social Security than they were in 2013. The current survey found 73% said cutting government spending on the program would be a mistake, compared with 67% in 2013. Most oppose measures that would reduce benefits for future generations, and only 42% agree with delaying benefit withdrawals. Ultimately, though, respondents have little confidence in Washington. A 2014 Gallup poll found just 7% of Americans believe in our political leaders. NIRS found 87% of respondents think policymakers don’t understand how hard it is to save for retirement. To that end, not only do respondents agree that it’s difficult to prepare for retirement, most say it’s getting harder. Almost three-quarters said the average worker can’t save enough on his or her own, and 81% say saving will be even harder in the future. The rising cost of long-term care was cited as the biggest issue in saving enough, followed by stagnant salaries, fewer pensions and longer life spans. NIRS added that less access to health care benefits is also contributing to lower retirement preparation. “Between 1988 and 2013, the share of large companies offering retiree health care plummeted from 66% to 29%. Simultaneously, those offering retiree health care benefits have reduced benefits and required higher retiree contributions for coverage,” according to the report. Over 45% of all households between ages 25 and 64 have no assets in a retirement account, NIRS found. The retirement situation is dire among white populations, but for minorities, it’s disastrous. The report found that a “typical” white household near retirement in 2010 had on average only $30,000 set aside for retirement. Black or Latino households approaching retirement had zero dollars saved in dedicated retirement accounts, the report found. They’re not saving in other accounts, either, Nari Rhee, one of the authors of the SCF analysis, told ThinkAdvisor on Friday. Rhee is manager of the Retirement Security Program at the Institute for Research on Labor and Employment and the Center for Labor Research and Education at the University of California at Berkeley. NIRS found three policy implications in its analysis of the SCF. Strengthening Social Security. The poorest 25% of retirees get 90% of their income from Social Security and Supplemental Security Income, NIRS found. As the public sentiment survey shows, Americans support the program. NIRS noted some proposals have been put forth by former Sen. Tom Harkin, the Economic Policy Institute and the Center for American Progress that suggest increasing revenues by eliminating the cap on payroll taxes and adjusting the benefit formula to keep up with seniors’ cost of living. Improving access for low- and middle-income workers. The voluntary (for employers and employees) system of workplace retirement plans best serves higher income workers, NIRS found. A “critical” benefit of workplace plans is the payroll deduction, which isn’t available in retail IRAs, which frequently come with higher fees and lower returns. Help low-income households save. NIRS said that because low-income households also have low marginal income tax rates, they don’t have much incentive to claim the tax deduction for retirement contributions. They’re also less likely to be working for an employer that offers a company match in a retirement plan. NIRS suggested expanding the Savers Credit, which in 2015 offers a 50% credit to single filers with up to $18,250 in adjusted gross income and phases out for workers who make more than $30,500. “The rapid phase-out at a low income level and lack of refundability limit the credit’s effectiveness,” NIRS said.